The history of the restaurant in an old photo. 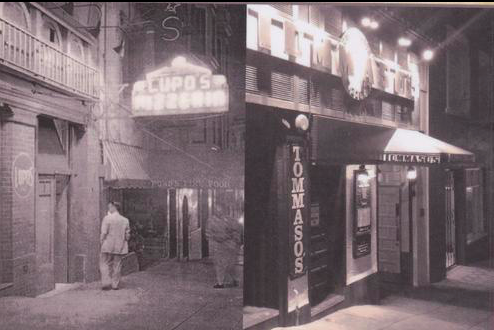 Tommaso’s Ristorante Italiano truly represents a piece of San Francisco’s history. 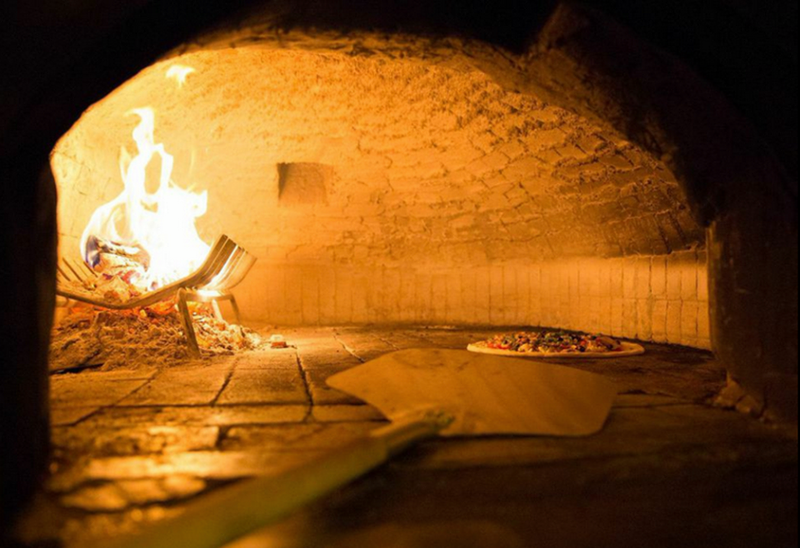 Home to the very first wood-fired brick pizza oven of the West Coast, this classic Italian joint, which opened in 1935, celebrated its incredible 80-year history in 2015. The restaurant was opened by the Cantalupo family from Naples who named the place “Lupo” at first. Then the business was passed down to chef Tommy Chin, who italianized the name of the place. Later on, the Crotti family joined Chin to shape the modern face of this sumptuous Italian restaurant which managed to stay relevant among the Italian dining scene in San Francisco thanks to its authentic, old-fashioned Italian cooking, rooted in the Neapolitan style. Tommaso’s remains successful today due to its family-run concept which makes the dining experience rustic, cozy, and friendly. It’s the perfect environment for an evening with friends or for a date. The warmth of the Crotti family really makes all the difference. In 1973, Agostino was working as a server for Caffe Trieste– the historic Italian coffee house that has been frequented by artists and musicians since 1956–and he stayed true to his artisan way of running a restaurant. To this day, he makes his own pizza dough at Tommaso’s. His sister, Lidia, serves as the executive chef, and his other sister, Carmen, is the perfect host. His wife Anna puts a sweet note on the restaurant's menu with her exquisite desserts. In an interview, Agostino was proud to say that Tommaso’s is North Beach’s oldest Italian restaurant. “We’ve been here 77 years, I mean the place...Everything around us has changed. Places opening up, places closing. The neighborhood has changed so much, and we are the only true anchor in this section. A little bit of the red light district ambiance as you can tell. Everything came after this place,” said Crotti. Pizza, pasta, wine and beyond! Pizza at Tommaso’s is legendary. 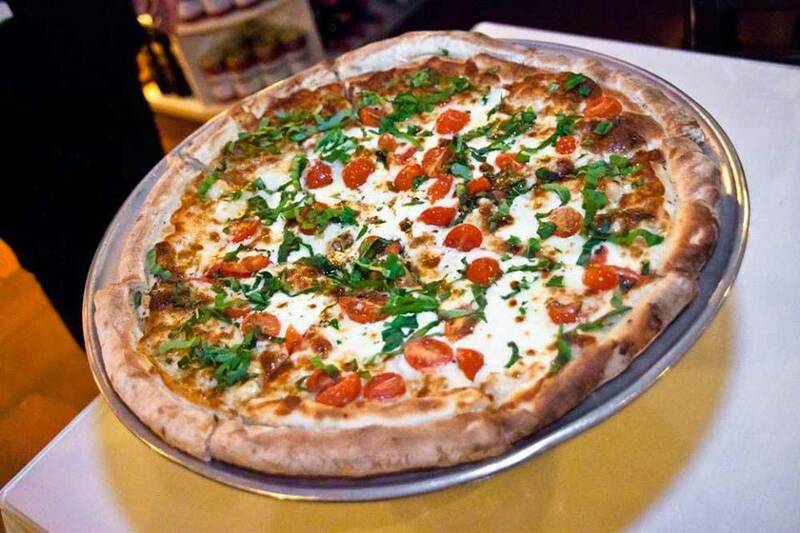 It’s 100% real Italian pizza, with a thin-crust and super fresh ingredients. The best seller is the burrata pizza with cherry tomatoes and basil. 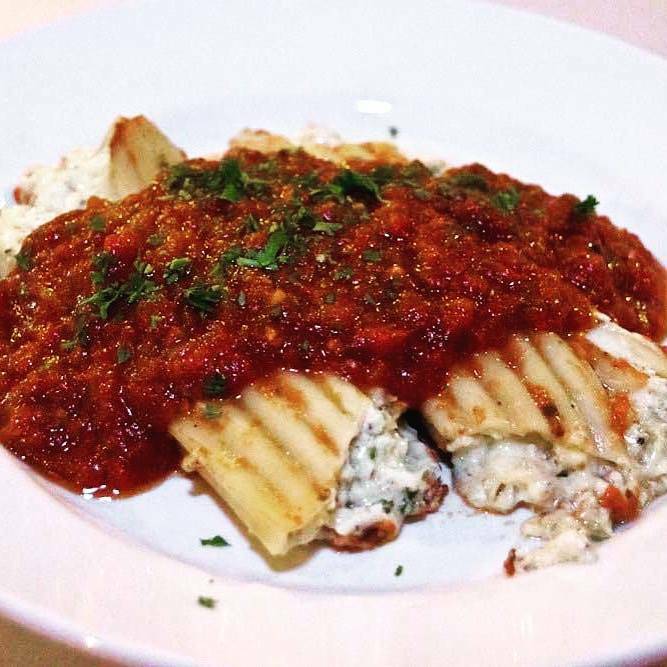 On the pasta front, their lasagna is mouth-watering, and the oven-baked specialties, particularly the appetizers, embrace the palate with a warm, savory sensation. Try the veal saltimbocca–prosciutto and fresh mozzarella in a white wine sauce–or the parmigiana with melted cheese. Regarding the rich wine list, Tommaso’s sports an original wine, a Tommaso’s Private Label Table Red, produced in conjunction with Pedroncelli Family Estate. This original wine is an exquisite blend of Zinfandel, Merlot and Syrah that shows fruity flavors of ripe berry, plum, and warm spice. Some of the restaurant’s seasonal specials add magic to the regular menu. The tortellini con burro, salvia e parmigiano, for example, is a tasty delight–homemade tortellini, with browned butter, parmesan and sage. Another special treat is the pizza pesto con pomodori secchi, aglio soffritto e erba cipollina- sundried tomato pesto, roasted garlic, and chives. The restaurant is also one of the pit-stops of Avital Tours, a sight seeing tour agency that organizes 4-course fabulous dining experiences. 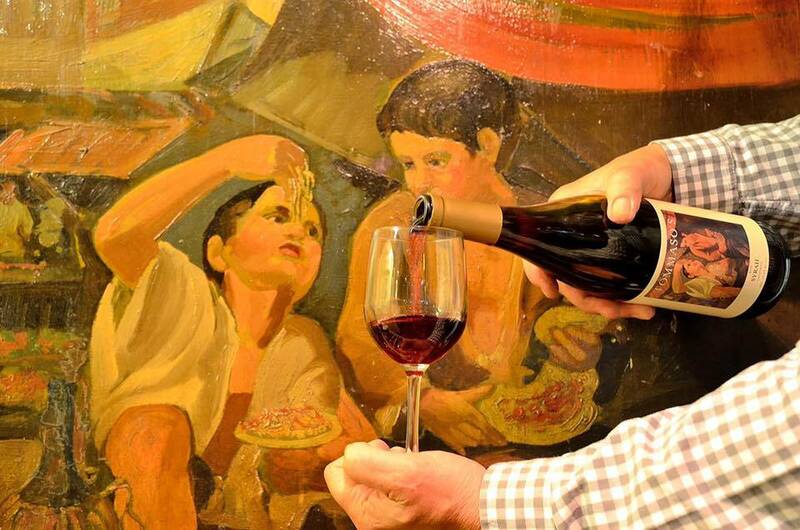 Each course is served in a different restaurant, and, of course, paired with great wines. Tommaso’s is part of the North Beach tour of course. So, check out the agency website (www.avitaltours.com) and come and visit Tommaso’s Ristorante Italiano!